This one of those do-as-I-say-don’t-do-what-I-did posts. 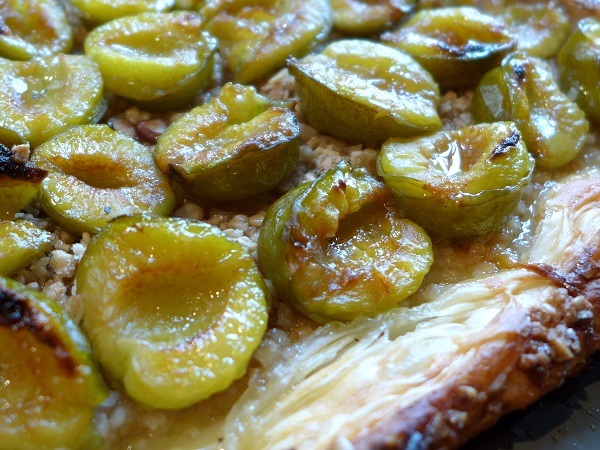 We’ve been picking a lot of fruit from the orchard and as I have a particular fondness for greengages I wanted to star them in a galette, the ones the wasps didn’t get, anyway. It all went a bit pear-shaped (or plum-shaped) but the end result was so tasty I’m sharing the recipe with you anyway, with my mistakes corrected. If a fruit pie can be as light as a feather, this is it. It’s fruity, crisp, ridiculously quick and easy and as it’s intentionally rustic-looking, you don’t have to be a pastry chef to make it. Here’s how (and how not) to do it …. Pre-heat the oven to 200C/400F/Gas Mark 6 (as opposed to shoving your tart in a too-hot Aga and burning the edges). Lightly grease an oven tray and cut a square of pastry about 25cm x 25cm. Lightly mark a border 5cm in from the edges (not half that or you won’t have enough to turn over). Scatter the internal square with the crushed granola or Amaretti biscuits. This helps stop the base from going soggy. Halve and stone the greengages and arrange, cut-side-up, in rows across the granola. Now fold the border inwards OVER the fruit, pleating it where necessary. (Don’t do what I did and just crimp an upright edge because it will flop back down in the oven and you will have to take it out to rectify your mistake.) 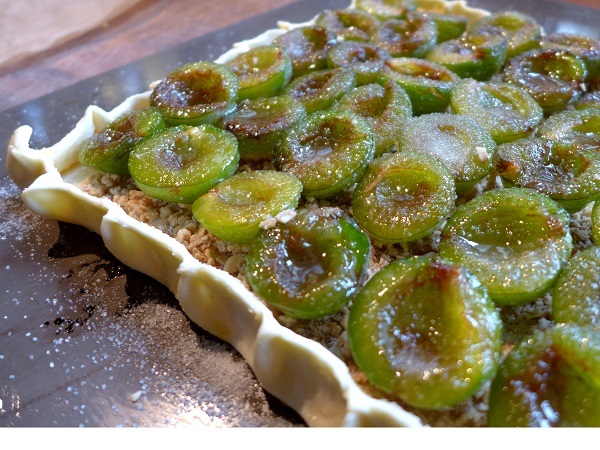 Brush the pastry with beaten egg and scatter the sugar over the fruit. Bake in the middle of the oven for about 30 minutes, until the pastry is golden and the plums are cooked. Naturally, yours will be glorious from edge to edge and you won’t be reduced to photographing the only corner that’s not too badly singed. 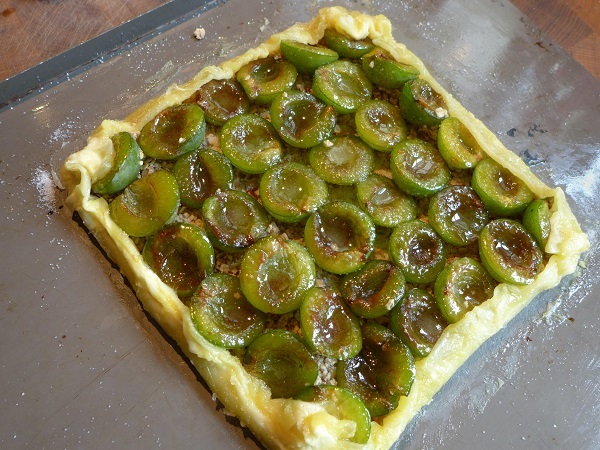 This entry was posted in Desserts, cakes and biscuits, Fruit, In the garden, Vegetarian and tagged greengage galette, how not to make a fruit tart, plum tart by Linda Duffin. Bookmark the permalink. I always think of greengages as a ‘Suffolk’ fruit (seem to recall they were named after the Suffolk Gage family). My (Suffolk) mum’s favourite fruit too. You can find them up here in Yorkshire but not as easily as in Suffolk. And they very, very rarely seem to feature on restaurant menus anywhere! I saw them once in a restaurant in Bury St Eds which had a banana and greengage crumble on the menu. I didn’t order it! Thanks for the recipe – looks great. You are absolutely right Penny, thanks, I’d missed that connection. Apparently (according to Wikipedia) “Green Gages were imported into England from France in 1724 by Sir William Gage, 7th Baronet, from whom they get their English name. Allegedly, the labels identifying the French plum trees were lost in transit to Gage’s home at Hengrave Hall, near Bury St. Edmunds”. I’m with you on the greengage and banana combo – ick. I think you don’t see them in the shops much because they don’t keep well – you have to cook or preserve them straight away. Ah yes, that’s it. When I was in the sixth form at school in Bury we used to go to Hengrave Hall on a Friday afternoon to help the nuns with general chores as it was run as a retreat. Beautiful old house, and I recall being told about the Gages naming the fruit. A great recipe and it’s brought back lots of old memories too! Thank you. 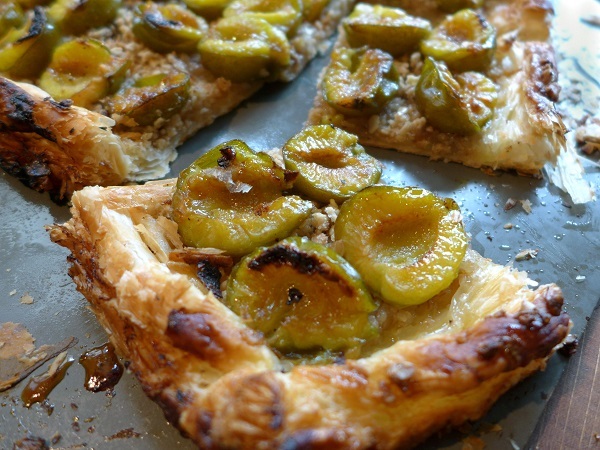 Interesting etymology and a yummy tart. Reine-claudes are my favourite plums by far and I think I’ve eaten about a whole tree full this year in Burgundy, fresh and as jam. Now, I need a galette! Thanks, Linda, great quick treat. Right. Definitely one to rustle up for our French guests. 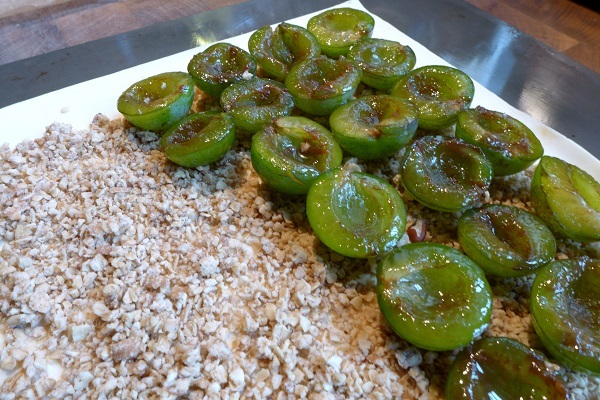 I love greengages. Short season and delicious. Two great things in food. Lovely job Linda. This looks delicious but if you get it wrong then, quite frankly, I don’t stand a chance and it will probably end up on the cat’s head. 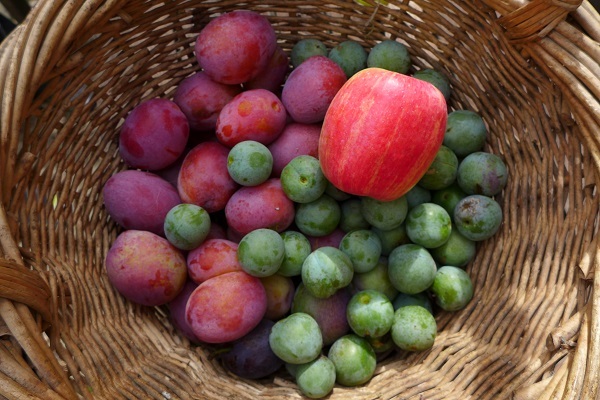 I am also pondering whether I have ever had greengages…possibly in jam, I think. Oh dear, I am sorry. Maybe your oven cooks at a different speed to mine? Maybe I took my eye off the tart? Perfect, I had all the components, just needed a quick recipe, this was ideal! Thank you!